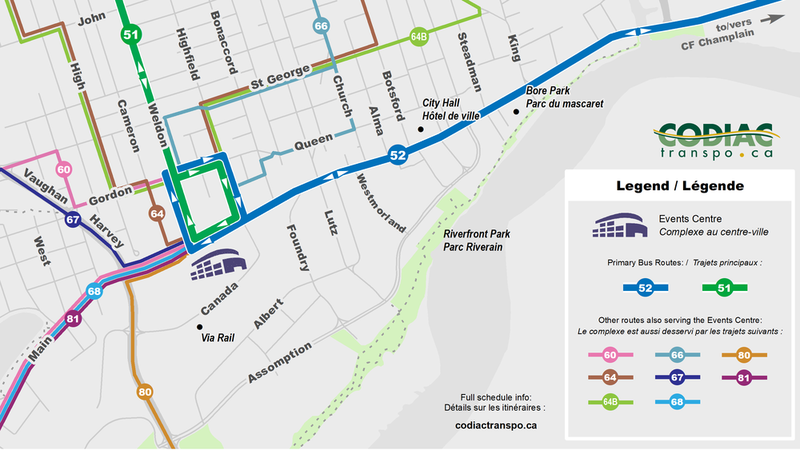 The Blue Line runs along Main Street from CF Champlain to the Events Centre on average every 15 minutes pending time of day. You can walk a couple of blocks anywhere along this route and for $2.75/trip Codiac Transpo will drop you off directly in front of the Events Centre. When leaving the Centre, hop on the next scheduled Blue Line bus and get off where you got on to make your way to your vehicle.